Well, I’m here again at the beginning of the week entering into the world of textures and photography. 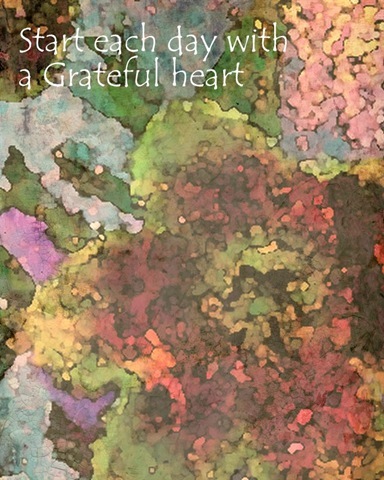 This weeks Texture Tuesday with Kim Klassen is to use two of her textures and capture ‘Gratitude’ in your photo. 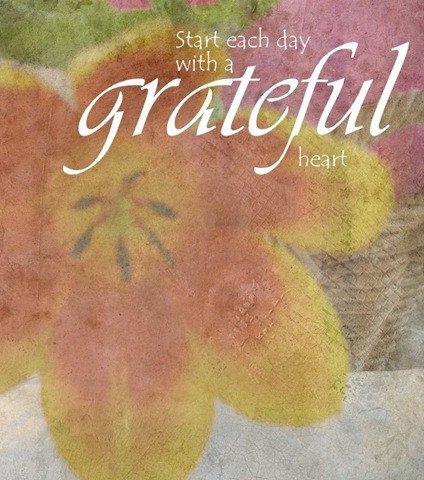 How do we start each day with a grateful heart? We give thanks that our heart is beating, we give thanks for the start of a new day…we smile and carry on! I’ve used the same original photo, (hard to believe) and have been experimenting. Non conclusive recipes this week, I just kept working on them until the image appealed to me. I give thanks for the little things today, that may well be the bigger and brighter things tomorrow. The rose bud today, that tomorrow is beaming in full bloom. The rainbow today, that brings tomorrows falling raindrops. The smile today, that may bring tomorrows friendship. Join in the fun at the cafe…have a coffee and meet the other players in the party of Texture Tuesday. Have a wonderful week, everyone. Perfectly lovely, Yvette!! Perfectly said, and AGAIN, your photographs look like they could be book cover designs!! I know I’ve said it before, but it’s true. Seriously, who wouldn’t pick up a book that looked like these? I know I would. Even the way you lettered the words is quite inviting to the viewer. Someday perhaps you might be inspired to send in some of your photos to publishers (or card companies). Remember it’s the book design that often is the first selling initiative. Today I’m grateful for the cool air, and to have met such lovely blogger friends. Beautiful photos and textures! I saw your link in Kim Klassen’s site. Yes, we should all remember those words. This is lovely work. Great words to love by! Lovely images.